Brilliant Blonde 8 Level Lift Lightener - Designed for Dark Bases. Free Shipping. 1. Check your Customer's Hair Condition. Make sure the hair is strong and has not lost its elasticity. 2. Choose the correct strength of developer for Your Bleach. Use bleach with 10 Vol. developer for gentle color washing. Use bleach with 20 Vol. developer for color stripping and controlled lifting. Use bleach with 30 Vol developer for lifting of 3 levels of lift and more. 3. Get the right mix. The recommended mix for Ugly Duckling Brilliant Blonde is 1 part Ugly Duckling Brilliant Blonde Powder Bleach Lightener with 2 parts developer. You should try and get a gravy-like consistency, watery enough for easy application but not so watery that it drips off your brush. Bear in mind that the bleach mixture will stop being active the moment it turns dry. 4. Apply in sections starting from the back. 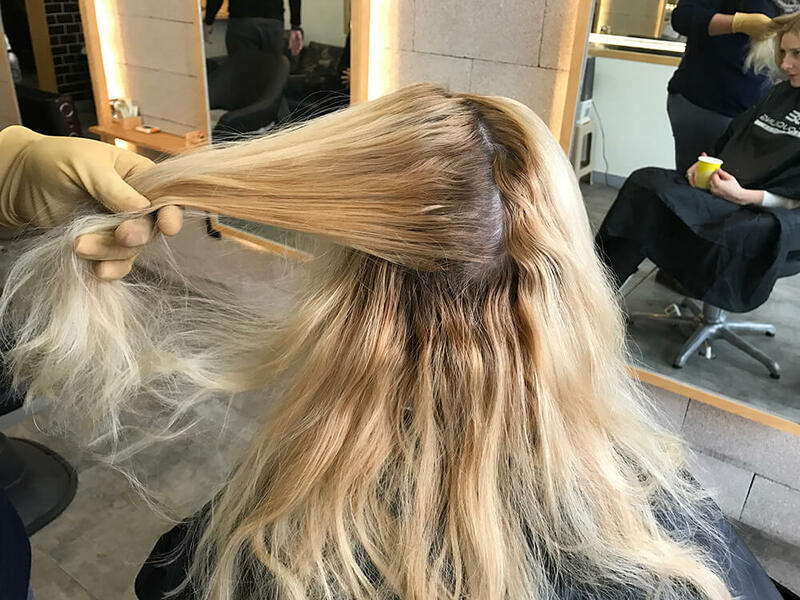 After mixing up your bleach, you now need to divide your client's hair into sections. To do this, part your client's hair down the middle from the front of your head to the back, then once more from ear to ear. You will now have four quadrant sections which you need to tie up with sectioning clips. Now you can let one section down and begin working on just one section at a time. 5. Work Your Way Round the Head. Take very thin mini-sections and apply your bleach mixture with a dye brush. You can use foil also if you like. Start from the back at the bottom, where your hair is the thickest. After you've completely applied bleach to one section, you need to move through each of the other sections until your hair is covered fully. The quicker you do this, the more even the colour result will be. An even bleaching gives the best result. 6. Dealing with Hair Near the Scalp. It is a good idea to not apply to the roots immediately or else they will end up lighter than the rest of your hair due to the warmth of your scalp. Instead, return to this area later in order to give this area less processing time. This way you will get a consistent result from roots to ends. Use 20 Vol when applying near the scalp. Never apply bleach directly onto the scalp as this may provoke reactions. It is preferable to stay 1/8 inch away at least. 7. Keep Checking Your Client's Hair Color Level through Processing Time. Keep checking the hair color level as it develops. You need to be ready to rinse as soon you get to the desired hair color level. The maximum development time is around 30 minutes. If you have not attained your desired hair color level, it is better to rinse off and re-apply a fresh mixture rather than let it process longer. Sometimes, colorists make the mistake of under-bleaching and this only ends up in a hair color result which is too yellow, too brassy, and not blonde enoughleaving your client disappointed. After development, emulsify, rinse and wash with a mild, preferably acidic shampoo. This helps to close the coloring process. We recommend you use Purple Toning Shampoo and Mask as this both helps to close the cuticle and takes any remaining yellow in the hair out. For getting an attractive hair color result, you will need to do a second color application after bleaching ("Toning"). 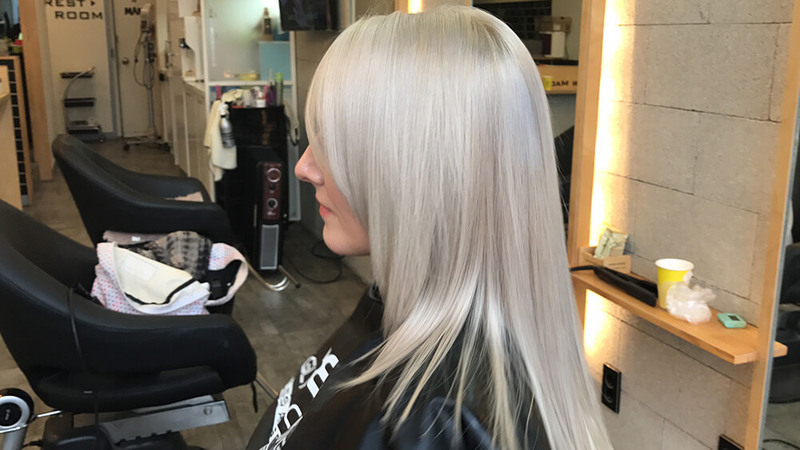 Ugly Duckling's best selling toners Intense Pearl Blonde, Intense Silver Blonde, Pearl Blonde, Silver Blonde work very well and we recommend them. Cool colors with violet or blue in it to neutralize the warm undertones also work very well. Colors like 10.20, 10.1 9.1, etc can be used. Toners need to be processed around 10-15 minutes, whereas colors need the full processing time of 30 minutes. Mix your toner or color with 10 or 20 Vol depending on the lift that you have after the bleach and apply on the full head. Dust-free powder bleach, 17.6 oz, 500 gm. Designed for Dark Bases, Gives 8+ levels of lift. Produces an easy-to-apply creamy consistency when mixed with developer. Enables a safe, quick controlled lift of hair. [meta_description] => Hair Color Bleach Lifts by 8+ Levels. Effective & Safe Powder Lightener formulated for Dark Bases. Click here for exclusive deals on this product. [meta_title] => Brilliant Blonde 8 Level Lift Lightener - Designed for Dark Bases. Free Shipping. Dust-free powder bleach, 17.6 oz, 500 gm. Use bleach with 10 Vol. developer for gentle color washing. Now you can let one section down and begin working on just one section at a time. The maximum development time is around 30 minutes. If you have not attained your desired hair color level, it is better to rinse off and re-apply a fresh mixture rather than let it process longer. 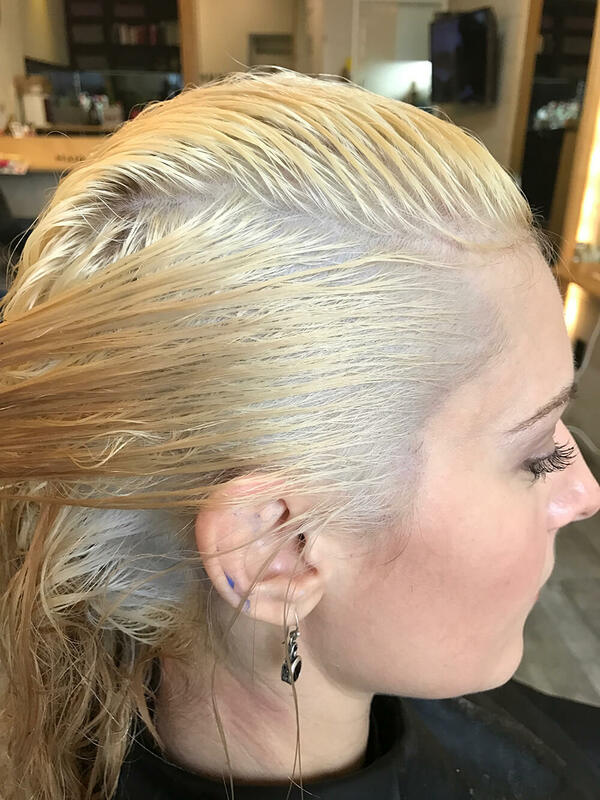 Sometimes, colorists make the mistake of under-bleaching and this only ends up in a hair color result which is too yellow, too brassy, and not blonde enoughleaving your client disappointed. 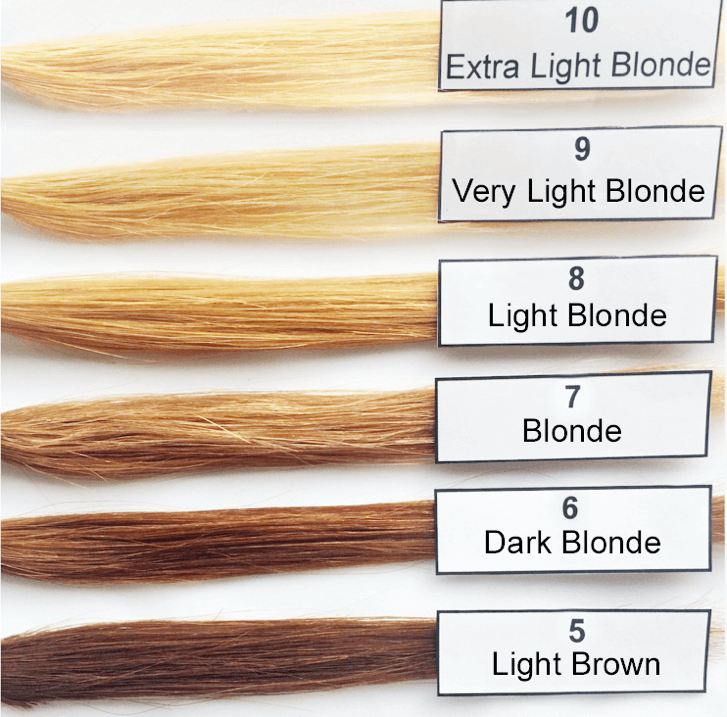 For getting an attractive hair color result, you will need to do a second color application after bleaching ("Toning"). Cool colors with violet or blue in it to neutralize the warm undertones also work very well. Colors like 10.20, 10.1 9.1, etc can be used.